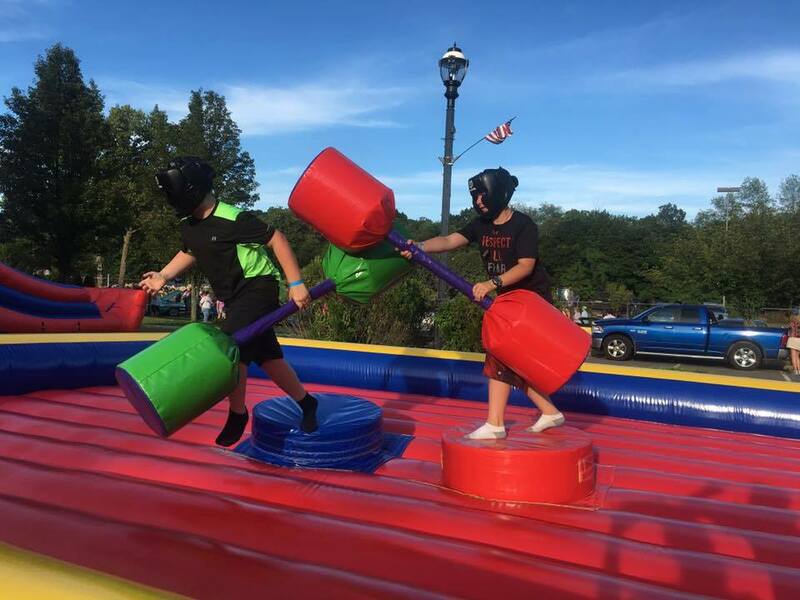 Jousting arena includes: Jousting ring, 2 foam padded Jousting Poles, 2 Helmets, 2 Extra Large Pedestals to stand on. Safe and fun for adults and children. 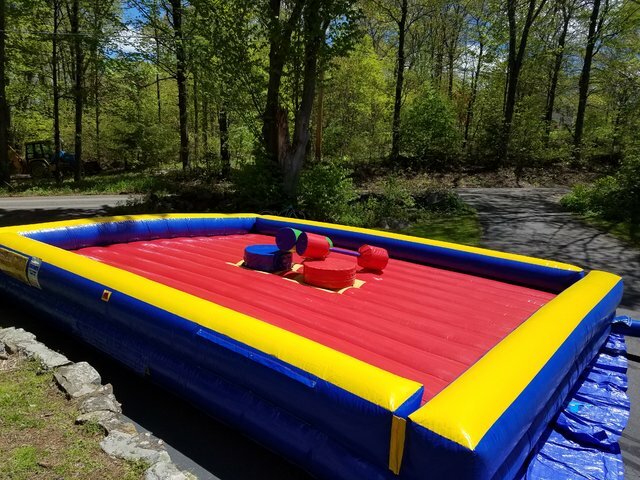 Great for graduation parties, backyard parties, school carnivals, corporate functions and company picnics.